After getting swept by the Oakland Athletics, the Yankees (5-9) begin a 3-game series against the Tampa Bay Rays (7-8) in the Bronx. The Rays are coming off two straight series wins, against the Chicago White Sox at home and the Red Sox in Boston. 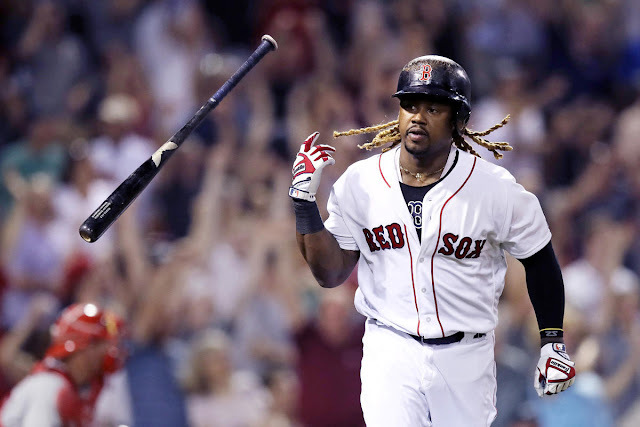 Last night, they used 4 runs combined in the 8th and 9th to come from behind and defeat the David Price-led Red Sox. Meanwhile, the Yankees continue to struggle, having scored only 17 runs in their last eight games combined, and the starting pitching has not seen a dominant start recently. 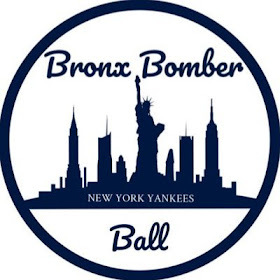 Last night, the bullpen, which had been the highlight of the season so far, took a beating, as middle relievers Chasen Shreve and Johnny Barbato, served up three home runs combined and four total runs, and that was the difference in a 7-3 loss. Last season, the Yankees went 12-7 against Tampa Bay. 1. The Yankees need to restart the offense slowly and not try to score too many runs at once. If the Yankees continue to put runners on in scoring position, the hits will come. Aaron Hicks and Austin Romine both had RBI singles (although Romine’s single was an infield dribbler) with RISP on Thursday night, so the offense is beginning to turn it around. Swinging for the fences or trying to do too much at once will be detrimental to the team, so the Yankees need to focus on getting runners on. 2. Yankees manager Joe Girardi has to manage the bullpen well. The Yankees are in the midst of 9 straight days of baseball with a road series in Texas next, so Girardi has to be careful in managing the workload of Dellin Betances and Andrew Miller. I expect Chasen Shreve and Johnny Barbato to get Friday off, as they pitched and struggled on Thursday. Therefore, should the Yankees need a bridge to get from the starter to the bullpen, the Yankees may see Branden Pinder or Ivan Nova if Girardi chooses to not use the pitchers that each threw an inning yesterday - Shreve, Barbato, and Kirby Yates. If Girardi wants to give them another shot in a close game right away, he knows, regardless of whether or not that pitcher has a good outing, that he is probably unavailable for the rest of the series. 3. The veterans on the Yankees must start hitting. In the last 7 days, Mark Teixeira, Alex Rodriguez, and Brian McCann are a combined 6-for-56 (.107) with A-Rod having the sole home run between the three. Teixeira has walked nine times, most in the offense in this span, but he’s also struck out 7 times, tied for second most with A-Rod and trailing only Carlos Beltran in this span. Their leadership in the locker room cannot be denied, but if they cannot start hitting for power and in critical situations, that could become a major issue. Those three are a combined 6-for-36 (.167) with RISP this season. Matt Moore has not necessarily pitched well in Yankee Stadium, but he’s certainly won his share of outings here as he has a 3-1 career record in the Bronx with a 4.66 ERA. He’s coming off two straight solid outings, where he’s combined to give up just three runs in 13.1 innings with 15 strikeouts in that stretch. 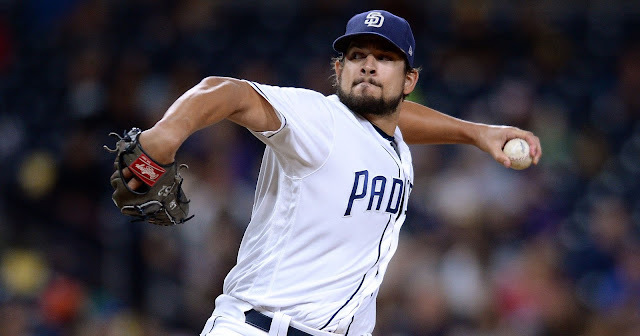 The 26-year old leftie from Fort Walton Beach, Florida, didn’t make his season debut until July 2 last year, and completed the year with a 3-4 record and a 5.43 ERA. 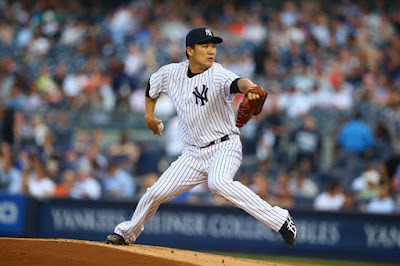 His lone outing last year against the Yankees saw him go 4.2 innings, give up 3 hits and 2 earned runs, and strike out 3. On the other hand, CC Sabathia is not coming off a good outing, as he gave up 7 hits and 3 earned runs in a 4.2-inning outing last Saturday against the Mariners. Sabathia has lost the velocity on his fastball, so he needs to rely on his offspeed pitches and location to succeed against the Rays. Last season, Sabathia started twice against the Rays, going 1-0 in 13.2 innings, giving up 9 hits and 3 earned runs, while walking 4 and striking out 15. Look for the Yankees to capitalize early and hopefully they can drive Moore out of the game by taking pitches. 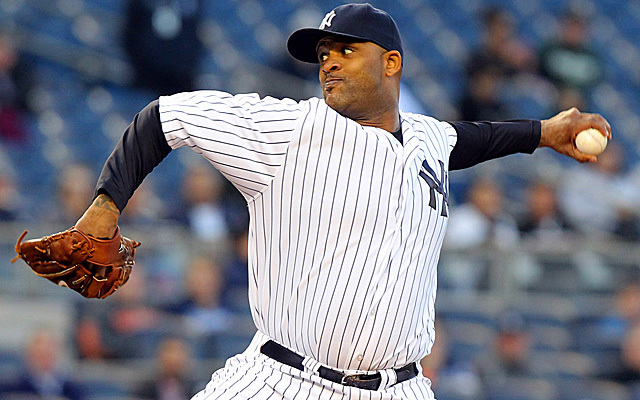 Sabathia needs a good outing to regain his confidence. The Rays were originally going to start Erasmo Ramirez, but he was taken out of the rotation and moved to the bullpen after his start last Saturday against the White Sox. Instead of Ramirez, the Rays #2 prospect, Blake Snell, will be called up and will make his MLB debut. Snell started off this year in Triple-A, going 14.1 innings with a 2.51 ERA and a 1-1 record. He has high strikeout numbers, and he's struck out 21 in his 3 starts this season. In 2015, he split time in Single-A, Double-A, and Triple-A. In Double-A, he went 6-2 with a 1.57 ERA in 68.2 innings, striking out 79. In Triple-A, he went 6-2 with a 1.83 ERA in 44.1 innings, while striking out 57 and only walking 13. Snell was not only the Baseball America Minor League Player of the Year in 2015, but he was also the USA Today Minor League Player of the Year as well. He may be a challenge for Yankee batters on Saturday. Masahiro Tanaka is coming off of a great outing on Sunday against Seattle, giving up just 6 hits and 3 runs (2 earned), while not walking anyone and striking out six Mariners. Tanaka has started thrice against the Rays, going 2-0 with a 2.70 ERA. He absolutely dominated them in his April 18 start in Tampa, allowing only 2 hits while throwing 7 scoreless innings. Tanaka finished last season with a 3.13 ERA in August and September combined. He is currently the only Yankee pitcher to have allowed less hits than innings pitched. Tanaka is currently the only starting pitcher I have complete confidence in, and with the offense struggling, he cannot allow many runs if the Yankees want to win on Saturday. Even though Smyly hasn’t won this year, his 2.91 ERA speaks volumes. In his last outing against the Boston Red Sox, Smyly allowed just one hit in 8 innings and no earned runs. He struck out 11 batters in that game, just like he did in his previous outing on April 13 against the Cleveland Indians. Smyly has simply been unlucky, as he also had a great outing against the Indians, allowing just 3 hits and 2 earned runs in 7 innings. Michael Pineda has been improving, as after his season debut against the Astros, giving up 6 earned runs in just 5 innings, he’s rebounded over his last two outings, pitching 12 innings, allowing just 4 earned runs while striking out 13. However, he’s given up 20 hits in just 17 innings and his WHIP is at a very high 1.41. This allows opponents to have many opportunities with runners in scoring position and to capitalize and turn a few baserunners into a big inning. In 7 starts against the Rays in his career, Pineda is 2-1 with a 2.70 ERA. This is the most challenging game for the Yankees this series, as Smyly has been dominant as of late and Pineda has not shown consistency. Series Prediction - Yankees win Games 1 & 2, but lose Game 3. 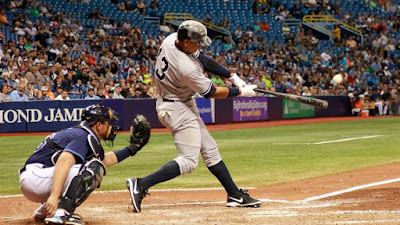 The Yankees will rebound from being swept by Oakland and win the first two games of the series against the Rays. In Game 1, I expect the Yankees to remain patient against Moore, drive up his pitch count, and ride another good start by Sabathia, who in the overall scheme of things, has been better than expected. Game 2 will be a close matchup with the Yankees offense facing a great young pitcher in Blake Snell; however, I expect the Yankees offense to produce enough runs to squeeze out a close win. They have Tanaka on Saturday, and I expect him to have another good outing. 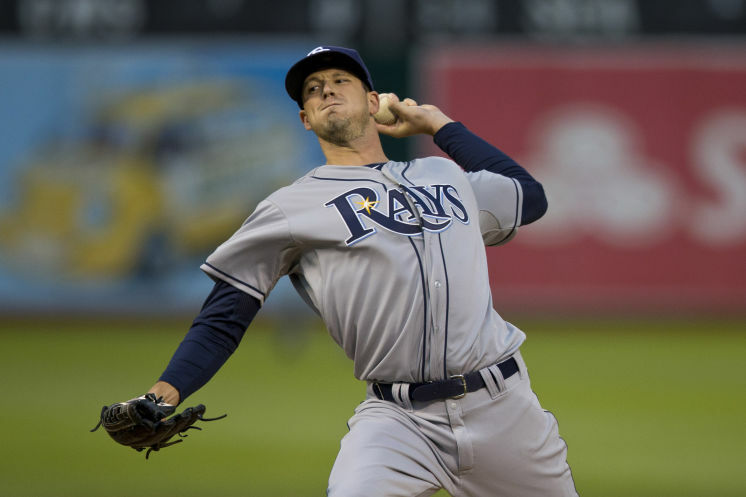 In Game 3, Drew Smyly will handle the pressure of an imminent sweep well and effectively use his four-pitch arsenal to lead the Rays to a win.